with a different Quarz you can also get 19200, 28800 and 57600 Baud. modem. It uses SMD components and measures only 52x32mm! Most of the parts are 0603 size resistors and capacitors, the FPGA has a VQ64 package. 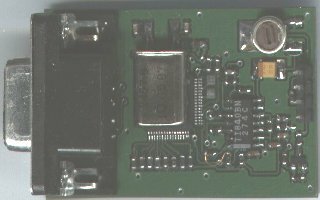 The modem produces standard RS232 signals by using a Motorola MC145405 interface chip. 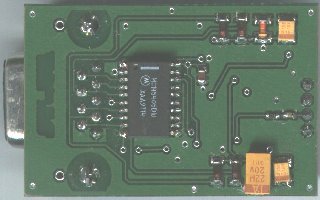 Note: You do not need a 16550 UART to use this modem. The UART FIFO is neither recognized nor used by any driver.